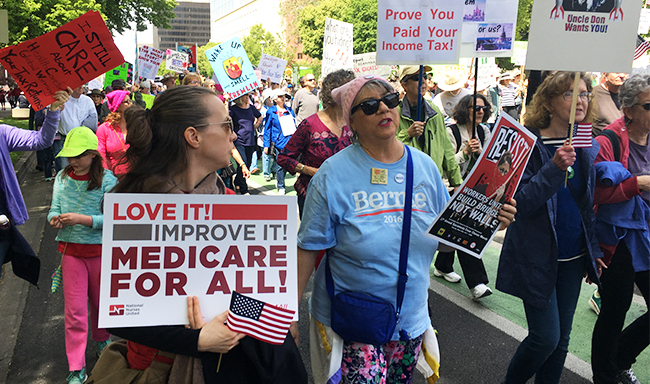 Dozens of National Union of Healthcare Workers members joined thousands of marchers April 15 to demand that Donald Trump release his tax returns. Without his returns, Americans are in the dark about Trump’s conflicts of interest, his foreign entanglements, and how the major changes to the tax code that he is seeking would further enrich him and his family. 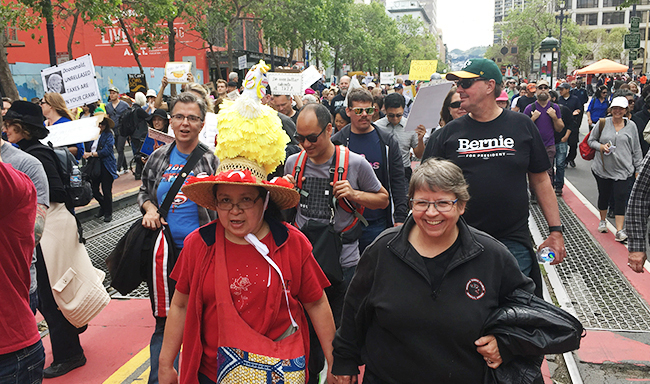 The NUHW contingent in San Francisco marched with thousands of demonstrators donning chicken costumes and signs. 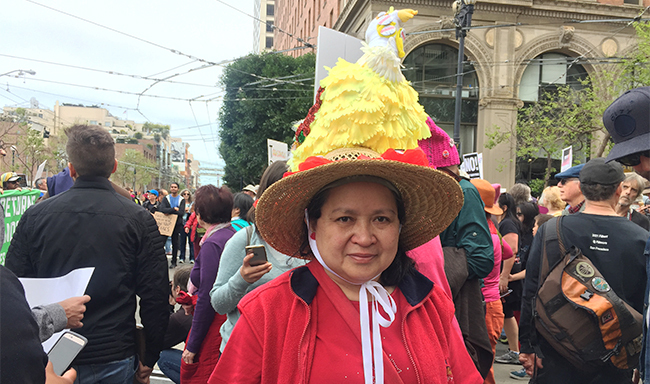 The San Francisco march included a 30-foot tall inflatable Trump chicken swaying in front of City Hall, daring the president to release his returns. 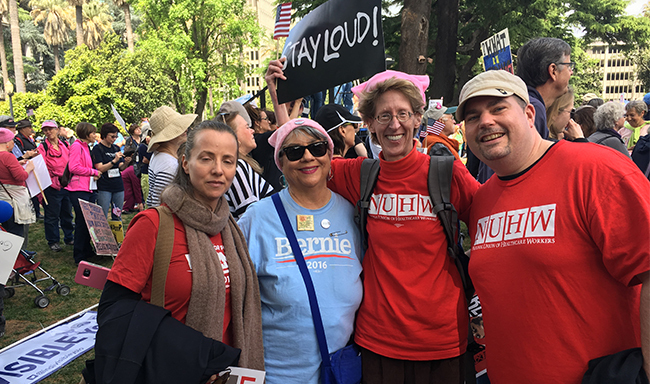 NUHW members joined hundreds of marchers in Sacramento. 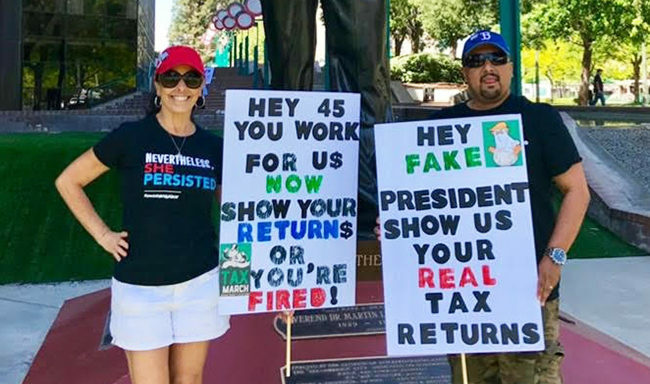 NUHW members showed off their signs in San Bernardino. 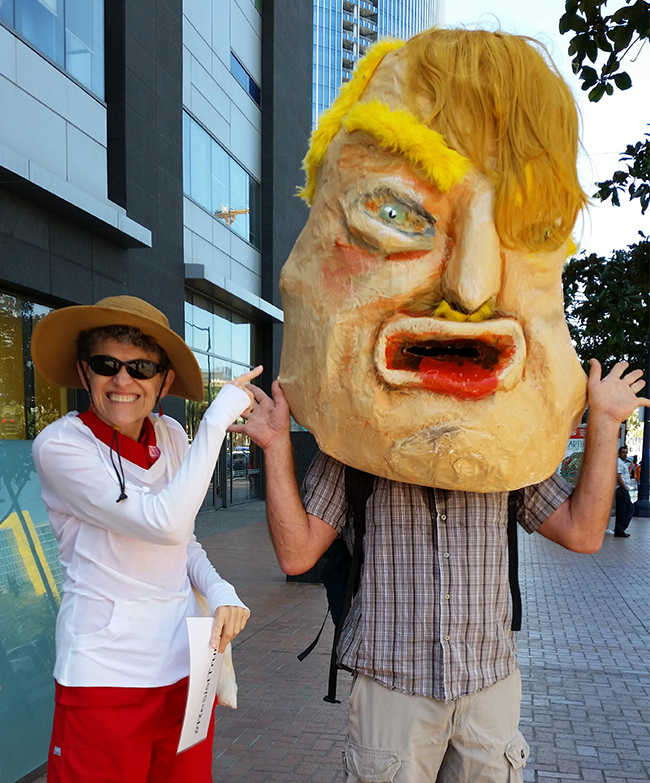 At the march in San Diego, an NUHW member donned a Trump mask.